1. In recent years, the renovation of higher education has particularly attracted a number of educators all over the world. Vietnam’s higher education , which is facing the increasingly high demand of modern society, needs to affirm its values in the global tertiary education. This is not a simple task for even the famous or high-ranked universities in the world. For years, the renovation of higher education has been set / was conducted with the initial success and the lessons for the future. Experience of renovating higher education has been summarized and initially had a practical meaning for higher education renovation in many countries. In Vietnam, the higher education renovation has long drawn the attention from a large number of not only educators - trainers, but also the managerial levels and the whole society. Numerous national and international conferences on it have been held to find the problems and solutions to improve the quality of higher education in Vietnam. At these conferences, a lot of experience and models of progressive tertiary education in Vietnam and other countries’ have been presented / discussed. The presenters made speeches/presentations basing on their action researches on their training institutions, from which they brought out many highly effective and feasible projects/models for renovation of higher education. Therefore, it can be said that the renovation of Vietnam’s higher education initiated quite well, which shows a bright and promising future and is worth encouraging. In order to raise the awareness of the leaders and prepare for the renovation of higher education in Vietnam more effectively, the Ministry of Education and Training has recently held a "Training course for the University Rectors of Vietnam”. This is one of the effective ways to put the educational innovation in the positive direction. In the course, the lectures by various international experts in the field of higher education renovation (who are from the U.S., UK, Australia, Japan, Singapore , etc.) have been proved useful and practical in raising the quality of higher education renovation. The present-situation surveys in the U.S., Japan in the framework of the course also contribute certain effectiveness to each Rector who has had more realistic look than the previous at the issues of the tertiary education renovation. Experience, the innovative ideas, determined attitude towards tertiary education renovation of big universities in the U.S. are certainly impressive and unforgettable for the Vietnam university rector delegation. Vietnam university rector delegation at Harvard University, U.S. November, 2008. 2. Higher education renovation lies first on the way of thinking / how to recognize problems with the nature of higher education. It always aims to find suitable solutions to improve the effectiveness of training. The social history has confirmed that the change of circumstances requires people to have adequate adaptation/adaptation. Modern people need to be equipped with necessary knowledge / skills for the integration in information technology, in the globalization. Experiences of other countries, the advanced / excellent units were various, but the effective application in each specific case requires a lot of talent and work of the managers in each educational institution. National University of Art Education( NUAE)' managers always think of and explore the solutions to improve the quality of its training. The institution also confirmed that the best way to show its quality is through the training quality. NUAE is the first and the only university in Vietnam which trains art educators, but it does not consider "the exclusive right" as its strength in training. NUAE always looks wider / further at the context of the whole world, trying to quickly integrate because we are living in the era of the "flat world" - era of IT which makes people get close / quick access to all information across the world. 3. One of the important issues of the higher education renovation is to train staff – teachers to meet the needs of the higher education innovation. Each time one needs to be prepared in full capacity to enter his era. To be able to train the people for such a time, there must be suitable teachers to do the training in the universities. New era also requires human access the knowledge in great efforts. Therefore, more than ever, each of the lecturers and the leaders always find ways to improve the quality of staff - teachers according to the standards required for the development. On the 26th May, 2006, the Prime Minister signed the decision No. 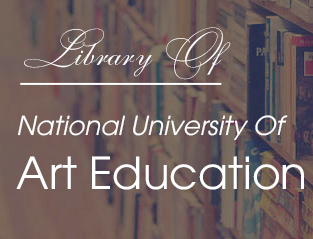 117/2006/QD-TTg on the establishment of the National University of Art Education. It can be said that no other university of arts has such rapid development in term of the staff and teachers quality. Nearly all of them are masters, doctors or MA students. 4. Assessing/Testing the education quality is a requirement / basis / motivation to improve / develop higher education in the current era. Recently, quality control or assessment is getting more and more important. This is a correct direction. At NUAE, this is also an important task. It can be proved by the establishment of NUAE’s Testing department and training of the staff working in this field. NUAE’s party committee, school board, the whole staff and students are unanimous in their support for the view: improving the training quality is the best way to assert the name of the school. Being a multi-majored and multi-leveled training institution, being aware of the bad points of training at different levels, we established the compiling council whose main task is compiling the training program from High school - College - University – Postgraduate( MA- PhD). This is the best way to give learners with the knowledge needed in each grade. Therefore, the quality control is very essential for assessing the quality of each training program. 5. Leaders have an important( sometimes vital) role in the success of higher education renovation. Major lessons drawn from the practice of higher education course is the awareness of the roles and positions of the leaderships: the Rector. According to the course lecturers, the leaders are the first and the people to make it. Besides, leaders must have strong will, determination, being ready to listen to and accept others’ opinions, being enthusiastic, modest, patient and sensitive to the changes of the environment. It is clear that the above assumptions show the importance of leadership not only of the rector but also of the managers, heads of departments and faculties to achieve the success of higher education renovation. The amount of work at a university is so great that the only rector cannot deal with all of them. Therefore, the heads of departments, faculties must be implementing and managing leaders. The creativity and dynamic management of the rector is considered the basic step to the success of the higher education renovation. Higher education renovation is a major issue that requires many efforts by those who involve in education and training in Vietnam. But all the achievements of higher education in Vietnam in general, NUAE in particular make us believe in the bright future.